"Good men sometimes make mistakes. 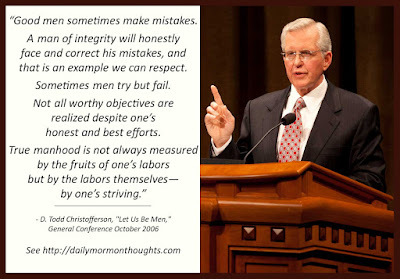 A man of integrity will honestly face and correct his mistakes, and that is an example we can respect. Sometimes men try but fail. Not all worthy objectives are realized despite one’s honest and best efforts. True manhood is not always measured by the fruits of one’s labors but by the labors themselves—by one’s striving. "Though he will make some sacrifices and deny himself some pleasures in the course of honoring his commitments, the true man leads a rewarding life. He gives much, but he receives more, and he lives content in the approval of his Heavenly Father. The life of true manhood is the good life. "Most importantly, when we consider the admonition to be men, we must think of Jesus Christ. When Pilate brought Jesus forth wearing a crown of thorns, he declared, 'Behold the man!' (see John 19:4–5). Pilate may not have fully understood the significance of his own words, but the Lord indeed stood before the people then as He stands today—the highest ideal of manhood. Behold the man!" The sign of a good person is not whether he or she makes mistakes; but what the reaction or response to those mistakes is. People of integrity "will honorably face and correct [their] mistakes" in appropriate and mature ways. 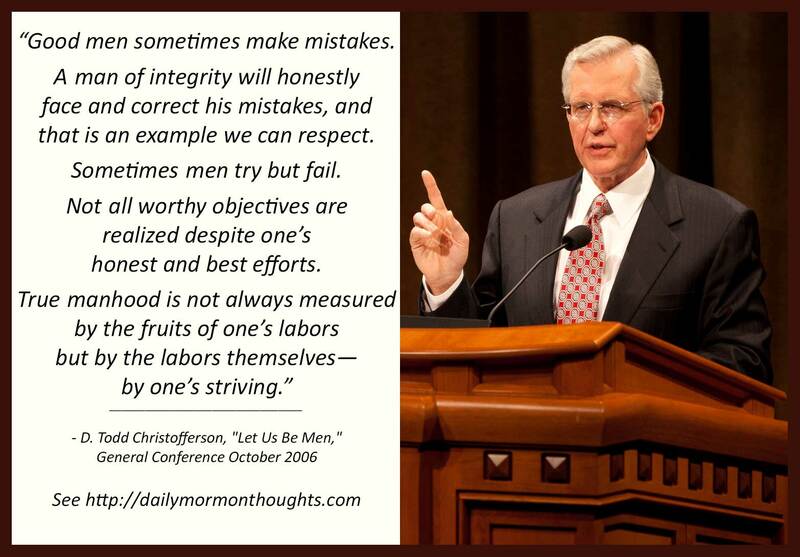 These remarks were addressed to a Priesthood session of conference, during which Elder Christofferson challenged his listeners to "be men"—to be spiritually mature and willing to resolve mistakes in the proper way. 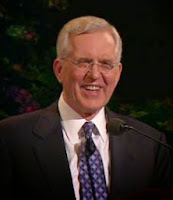 The greatest ideal of manhood is in the life and example of the Savior, and in the rest of the talk Elder Christofferson uses examples and teachings from the New Testament to illustrate that ideal to which we can aspire. The life of a "true man" is a wonderful life, he points out; "He gives much, but he receives more, and he lives content in the approval of his Heavenly Father." What more could anyone, man or woman, seek?